What is the OCean Park Association? We meet every second Monday of the month. If you have ever wondered how you can make a difference in your community, join us! 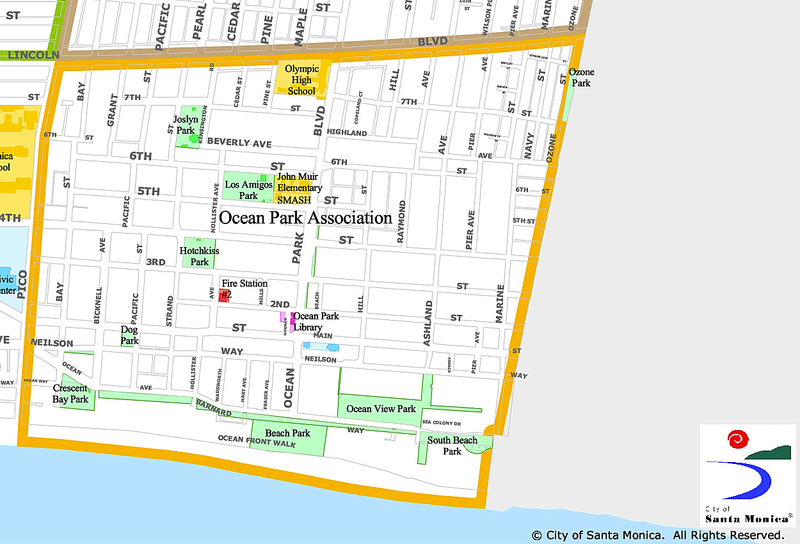 Located in the southwest corner of Santa Monica is the Ocean Park neighborhood. This neighborhood has a mix of older smaller homes and apartment buildings and condos. Several housing towers are located along the beach. The area has a funky, artsy feel similar in manner to its neighbor Venice Beach. Ocean Park is unique because it's walkable, bikeable, and has a thriving community, both business and resident. Its residents are demographically diverse and yet the area maintains a small town, community feeling.